Instagram is undoubtedly one of the hottest social networks right now. And if you want to stand out from the crowd, you’re going to need some stunning visuals and a good strategy. But what’s also important, and often overlooked, is the Instagram tools that power our favorite brands—no successful Instagram marketer has ever done it without a helping hand from a tool or two. As someone who has spent hours searching for and testing the latest Instagram marketing tools, I wanted to put together this list to save you some time and help you 10x your Instagram game right away. Ready to jump in? Here are 13 Instagram marketing tools to take your Instagram to the next level. Hashtags are an important part of Instagram marketing. It can be hard to find the best, most-active hashtags for your content though. This tool, Flick, helps you to do just that... in minutes. Simply search for relevant hashtags by keywords related to your posts and Flick will show you the most relevant hashtags based on the number of posts and average likes on content with that hashtag. Once you’ve found hashtags you’d like to use you can copy them to your clipboard ready to add to your Instagram posts. Vertical video is an important part of social media strategy and this tool helps you to edit any video into the perfect format for Facebook, Instagram and Snapchat Stories. Video is the most engaging content format on almost every social media platform and data has shown that vertical video is even more engaging than square or horizontal video. So if you’re creating video, you need to think about vertical. Insense Stories Editor enables you to upload, trim and then publish videos directly to Facebook or Snapchat Ads Manager. Staying on the video theme, Mixkit is the place to find free stock videos to use in your Instagram Stories and feed content. 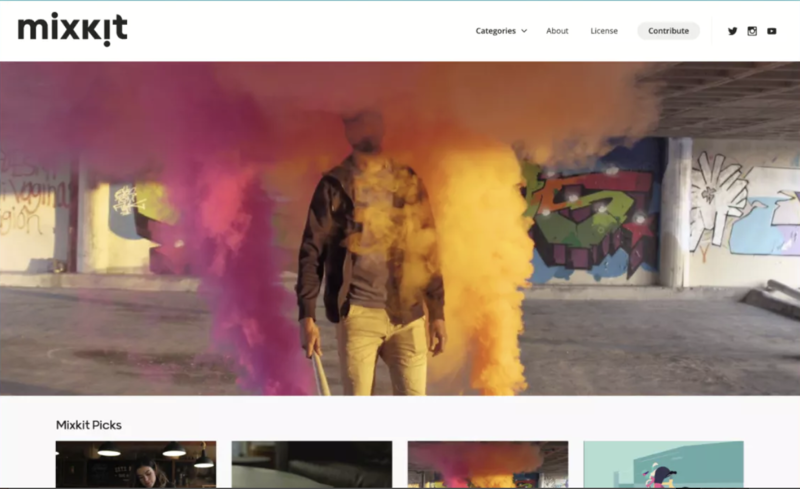 "Mixkit is a curated gallery of high-quality videos and animation, made by some of the world’s most talented creators, with all content licensed for free." New videos are added regularly and by joining its mailing list you can receive 10 new videos directly to your inbox each week. To help find what you’re looking for, Mixkit features a range of categories from business and lifestyle to outdoors and sports. Fake followers and likes are the bane of social media managers' daily lives. 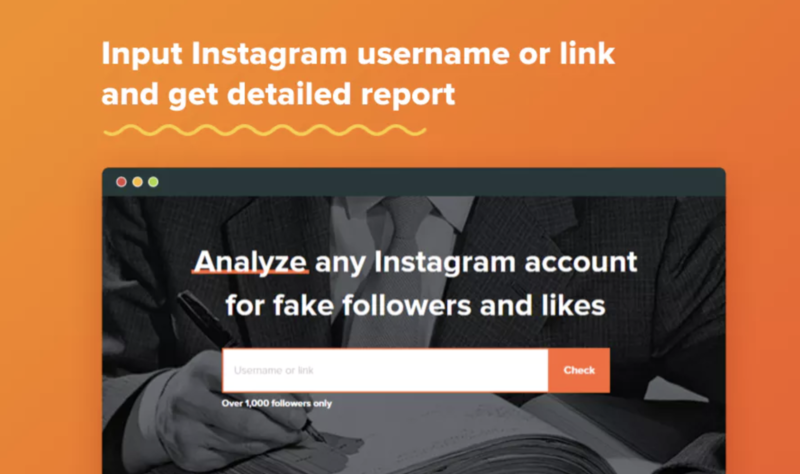 With Auditor, you can quickly analyze any Instagram account for fake followers and engagements. Whether you’re auditing influencers to see how engaged their audience really is and how many of their followers are authentic, wanting to keep your own profile in check or seeing how your competitors are doing, Auditor is a super-easy way to find fake followers and engagement. To analyze an account, all you need to do is enter its handle and Auditor will create a report for you. Prime is an app built to help you answer that exact question. With the Instagram algorithm now ranking posts and deciding what to show each user when they open the app, timing can be incredibly important. If you can get your post out there at the perfect time, and get some early engagement, your post could perform incredibly well. If you just throw out your post when it’s ready, there’s a chance it’ll get lost and perform poorly. Influencer Marketing Hub’s Sponsored Post Calculator enables influencers to check what they should be charging for a sponsored post on their account. On the other side of the coin, it allows agencies and marketers to double check the prices they’re paying for influencer posts to ensure they are in the right ballpark. Though it’s not an exact science, knowing roughly what you should be paying an influencer can help your campaigns to run smoothly and ensure your budget is allocated correctly. Instagram requires constant attention—especially when it comes to keeping your feed fresh with new posts. It can feel like a never-ending grind. With Buffer you can schedule and plan your Instagram video and single image posts in advance and escape the routine of uploading your posts daily. Or if you prefer to hit publish yourself, you can use Buffer as an Instagram planner and receive reminders when it’s time to post your content to Instagram. Later is an Instagram-focused marketing platform. From scheduling video and single image posts, to finding the best times to post and managing your Instagram engagement, Later has it all. With Later you can easily bulk schedule your Instagram content ahead of time and also create weekly time slots enabling you to simply drag + drop content to schedule it in seconds. It also features super-useful analytics to help you spot trends in your overall performance on Instagram, measure weekly and monthly growth, and discover which of your posts are driving the most engagement. Managing Instagram comments and replies can also be difficult for social media managers. And Later can help here, too–It's conversations feature makes it easy for you to search, sort, and respond to Instagram comments from your desktop. Unlike other social media platforms, Instagram doesn’t allow you to include links in feed posts, and links in stories are only available for accounts with over 10,000 followers. This makes your Instagram bio link an incredibly valuable piece of real estate. Most brands simply use their Instagram bio link to drive traffic to their homepage or a specific landing page based on a recent post in their feed—I’m sure you’ve seen the classic “link in bio” caption, right? LinkTree gives you a unique way to drive traffic from Instagram to multiple places—and, even better, it’s 100% free! With LinkTree you can create a simple landing page featuring a bunch of links so people who click to it from Instagram will be able to see a range of options. This means you can drive traffic from Instagram to multiple places. Similar to LinkTree, ContactInBio enables you to convert followers into customers with micro-landing pages. ContactInBio allows you to use your own custom branding and colors on these landing pages. It even integrates with Facebook so you can retarget your ContactInBio visitors on Facebook platforms by adding your Facebook Pixel Id. iconoSquare is a major player in the Instagram marketing space. Used by more than 25,000 agencies and businesses, it offers a range of analytics, publishing and monitoring solutions for Instagram (and Facebook, too). iconoSquare is best-known for its in-depth and easy-to-understand analytics. It features graphs to highlight your performance for metrics like follower evolution, average engagement rate per post, reach and impressions history. It also boasts impressive Instagram Stories analytics helping you to understand reach and impressions, completion rate by story type and best time to post. It also has monitoring solutions enabling you to keep an eye on any mentions and tags of your brand. As an added plus it also has a neat feature to help you spy on your competitors and understand what’s working in your industry. iconoSquare also has a free Instagram Audit tool to help you analyze your performance on Instagram. This tool analyzes 20 different metrics to help you improve your account activity and post performance. Don’t you just wish every platform used the same image sizes? We’ve all been there… slicing up images in different ways to make them fit with the best practices for LinkedIn, Twitter, Instagram, etc. Thankfully, Landscape can make this job a little easier. 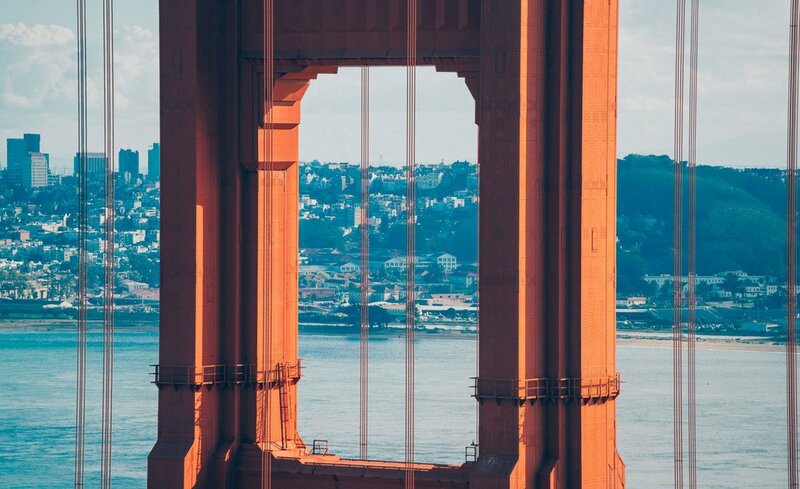 Want to make an image the perfect size for Instagram? You can do it in seconds with Landscape. Landscape is a powerful image resizing tool designed to help you create eye-catching images. All you have to do is upload your image, select that platform you want to post it on—in this case, Instagram—and Landscape will create an image that fits Instagram’s guidelines perfectly. Featured is iOS app designed to help you create thumb-stopping Instagram Stories content. It features over 60 templates and allows you to create your own unique layouts too. It also has some great photo editing features like move, scale, blur, rotate, and borders to help make your content look fresh and exciting. And what’s more: you don’t need an account to get started. Simply download the app and you’re all set to go! What are your favorite Instagram marketing tools? Thanks for sticking with us and checking out our favorite Instagram marketing tools. The tools listed here are my Instagram secret weapons and I’d love to know what tools you have in your arsenal. Let me know your favorite instagram tools in the comments below.